February « 2013 « "AllSoulsAreMine"
Events are happening at a very quick pace. You must focus on the word. It is healing for your soul. You can no longer delay your spiritual development. The enemy is closing in and nearby. Few are prepared for what is coming. It is unprecedented in the history of the world. Find courage in Me, in My words. This year, 2013, will test all men and many will perish. All that is written in Revelation will begin to take shape. This is the time of harvest when men who are apostate or dead will fall on their knees. I expect My children to be there for them, to give them the good news and bring them into their inheritance. Trust in the power of My blood, of My name, of the promise of My protection. No matter what you see or what you hear fall back on My promise. Trust it with all your heart and all your strength. Once you witness the supernatural power I have extended to you in Me you will cast about witnessing to others with signs and wonders. You will save many. You will gather many. And you will inherit much. There is no more time to delay. I command you to go out and sow. Each day you delay, more souls will be lost. My return is close my dear children and there will be no further opportunity after that day. I am here with you already, not in the flesh but in spirit. I know your thoughts and have counted the hairs on your head. I am a breath away. Beware not to be deceived. The enemy is working hastily to deceive my elect. Remember he knows the word. He still accuses you to me daily. I am turning my ear away from him now. He has lost access to me. This means he has descended to you. This is the shift many have felt. He is among you now. This is what will begin to accelerate events. He is working hard to wreak havoc on My earth and with My creation. Be strong and stand fast on the word. Invoke My name; trust in its power. You heart will not fail if you have faith. The Holy Spirit will strengthen you; call upon Him. My children, be joyful. I am close by to collect My family and bring them into the new earth, My Kingdom. Beware of prophets of deception. They serve a foreign god. Beware of church leaders that preach a pleasing word keeping the people dandled while the enemy waits for them as prey. There is no more restraining My children. Be quick to the ready my loved ones. A spiritual battle is ahead. Remember I am with you always. 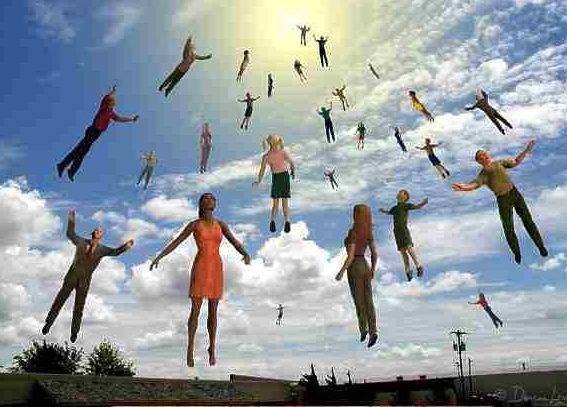 I have now listened to several interviews/shows and read many texts on the rapture, both pro and con. Little is more divisive among Christian believers than the doctrine of the rapture. We are dutibound to serve the Lord, to take His gifts and bear fruit. Too many Christians are saying, “Why should I care? I will be out of here before it (tribulation) starts”. Clearly, tribulation is at hand. The Euphrates has dried up. The final pope will be chosen in conclave this February 28 (he is the last according to Malachy’s prophecy and the Church in Rome is in agreement). Nations are crafting to attack Israel. Good is evil, evil is good. The season is here. Until the dreadful day of the Lord, it is our duty to serve Him and save as many souls as possible. Our protection is not in the rapture; but, rather in the promise of His protection. It is written throughout the scriptures. Search the word for your promised protection; the Lord does not lie. Keep your eyes and ears on the resurrection. Ironically, the “falling away” deception will stage a great falling away once the tribulation begins and no one is “snatched”; sounds like the craftiness of the evil one to me. I am here for the long haul, to earn as many crowns as I can, to serve Him and in fact, delight Him. The Lord is worthy of everything we can give Him. 1. Brother Rick Wiles Interviews Pastor Chris Steinle, Pastor Steven Anderson. Rick calls it, “Pre-tribulation Industrial Complex”.